We are a leading Manufacturer of edge board, paper edge board, wrap around edge boards, angle edge boards, corrugated edge boards and protection edge boards from Nashik, India. Engineered to provide extra strength for load stability and superior edge protection, ANGLE BOARD products are built to the industry's highest standards of quality and consistency, providing you with dependable pa protection along with load containment, stabilization, and weight distribution. Reinforcement Angle, when reinforced, gives additional strength to your packaging and reduces the risk of a product as well as box damage. It also increases the stacking as well as compression of the box. It gives structural stability. 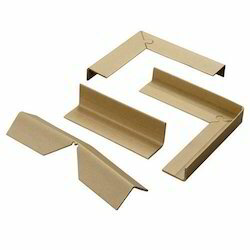 You can reduce your packaging cost by reducing the ply of your boxes. Reinforcement can be done in all kind of packaging. 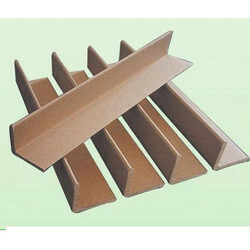 Edge Guard It is used to protecting corners of all kind of round shaped material while stacked on the pallet. 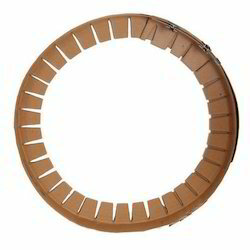 The edge guard protects the material while they are strapped with steel or nylon. The material is safely guarded with Edge Guard as the product do not move and the pallet gets good strength. 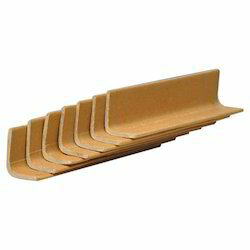 Protective Edging Angle Board is used to protect edges of products. Protective edging is used to protect edges of various products inflate as well as in length. Angle board, when applied on the corners, protects edges and reduces the damages of costly products like plywood, aluminum sheets etc. the product when packed on a pallet with angle board gives strong packing and safe packing. We feel proud to introduce ourselves as one of the well-known manufacturers, suppliers and exporters of Paper Edge Board. 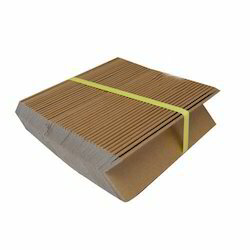 The offered paper edge board is widely used for providing the load bearing capacity, to the packaging containers. 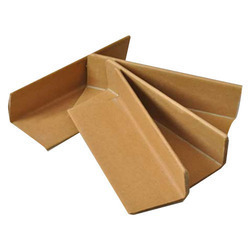 Our supplied paper edge board is acclaimed for protecting the edges and corners of the packaging containers and shipment goods. The exported paper edge board is available at very affordable and reasonable market rates. We are one of the leading manufacturers and exporters of Wrap Around Edge Boards. The offered edge board is commonly used for providing the load bearing ability, to the packaging boxes and packaging containers. Our manufactured edge board is liked for fully protecting the edges and corners of the packaging goods, containers and shipment boxes. The supplied edge board is largely used in the protection of delicate materials and goods such as sheets, laminates, tiles, and cookware. Protection of steels rolls from strapping and corrosion. 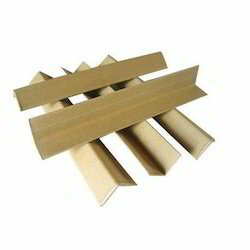 We are one of the well-known manufacturers, suppliers and exporters of Edge Board. The offered edge board is commonly used for enhancing the load bearing ability of the packaging containers. Our supplied edge boards are liked by the clients, owing to the unmatched protection provided to the corners and edges of the shipping containers and packaging boxes. The manufactured edge board is available at very reasonable and economic market selling price. We are offering Angle Edge Boards to our client. Dimension/Size 50 mm 3,4,5,6,7 mm. We are offering Corrugated Edge Boards to our client. We are offering Protection Edge Boards to our client. We are offering Kraft Paper Edge Board to our client.